We are your flexible and reliable partners for logistics, forwarding and transports in Austria, Italy and around the world. Build on our long experience in international forwarding- and transport business and our logistics know-how. As an absolutely reliable and flexible partner, we offer a comprehensive service range at a perfect price-performance ratio. Your logistics concept is perfectly customised. We ensure a seamless connection and organisation between all of your transport processes, including proper processing of individual goods transports as well as best storage and distribution of your goods in and outside of the country. We will also gladly take over separate partial areas, such as stacker work, storage, picking, labelling, etc. just ask us. We will find the ideal cost-optimised logistics solution for you. Granulates or plastics – we will implement comprehensive logistics concepts for you from storage to packaging to labelling to timely delivery to your end customers. Our employees have long experience with the specific requirements of the plastics industry. We will ensure best storage/interim storage of your goods. The basis of our warehouse logistics is our 5,486 m² operating premises with covered storage area of 700 m². We will pick your goods order-specifically and deal with packaging and labelling if necessary. The pallets are directly taken from the warehouse and wrapped, labelled and put in interim storage criteria (stacking capability, transport safety, etc.). After picking, the pallets are wrapped with foil, labelled and put in interim storage for further shipping. On demand, we will develop new packaging (due to the repacking or packing together of various item versions) and change packaging sizes. We will also consult you regarding the best packaging and loading goods protection for your freight. On request, your goods can also be individually marked or labelled. All goods that leave our warehouse can at the same time be submitted to an outgoing goods inspection. This way, we ensure that your shipments comply with the requirements in quantity as well as quality. 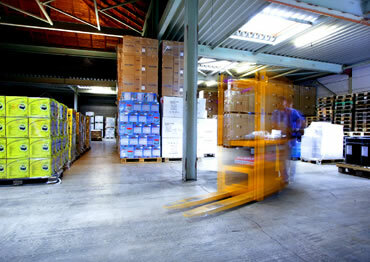 We organise the return transports of damaged or unordered goods. For our warehouse customers, we perform a precise warehouse inventory for every month (or more often than that. We organise the disposal or return of damaged goods and/or packaging material. You want to import fireworks to Berlin, potted plants from Italy or ship machine parts to Canada? No matter the corner of the world that you want to take your freight to: we will find the perfect transport path and the right transport medium for you, organise packaging and picking and process all customs formalities. Enjoy our all-round carefree package: simple, quick and unbureaucratic. Fast, safe and reliable truck transports within Austria and Europe are mainly done with our own fleet. For more, read on here. Even if you want to take your small shipments and packages securely to the destination, we are your competent contact. We organise shipping quickly and simply via our external partner operations. 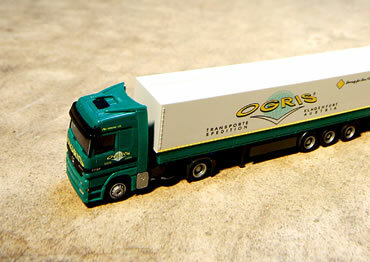 Ogris logistics organises transport of your goods within Europe and from or to the GUS states by train. We transport your shipments by direct, full or partial charter in all version from “airport to airport” to “door to door”. Including customs processing. Deepening on requirements, we organise collection containers (piece goods) or full containers for goods of all kinds and any size up to heavy load and project shipping. Together with selected shipbuilders, we warrant the shortest transport times, no matter if “Port-to-Port” or “Door-to-Door” transport. We perform most of your truck transports within Austria and Europe without own fleet (14 trucks). Our employees are qualified professional truck drivers in continuous contact with the headquarters. They ensure that your freight will reach its destination quickly, safety and reliably. Together with our strong partner network, we will of course, also organise transports that go beyond the European area. For smaller deliveries, we offer a comprehensive 24 hour service within Austria. We are also members of the ILN-cooperation (International Logistic Network) and therefore can offer daily departures in (almost) all European countries. Our special area of Italy is, of course, served every day with our own trucks and cooperation partners. We will gladly organise collective runs to all countries of the former Eastern block as well on demand. We will take your complete loads from house to house in direct freight traffic at cost-efficient daily prices. Individual scheduling ensures simple handling. Even if you want to take small shipments and packages securely to your destination, we are your competent contact. We organise shipping quickly and simply via our external partner operations. Our drivers and trucks are ready for your hazardous goods, no matter if they are wireworks, gases, chemicals, paints, etc. Truck transport of your hazardous goods is performed by specifically trained and qualified staff. You need a thought-through logistics concept that is precisely aligned with your wishes? It is to perfectly link internal logistics with external transport logistics and include not only distribution of your goods but also stock-keeping and packaging? No matter how complex your requirements are: we will find the perfect solution for you. Upon detailed analysis, our consultant will coordinate your new logistics concept precisely with your individual wishes – from transport logistics to warehousing to picking and packaging. In the scope of this work, storage and transport damage and damaged packaging is assessed, transport cost analyses take place, court expert reports are produced, etc.